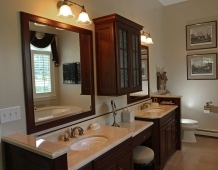 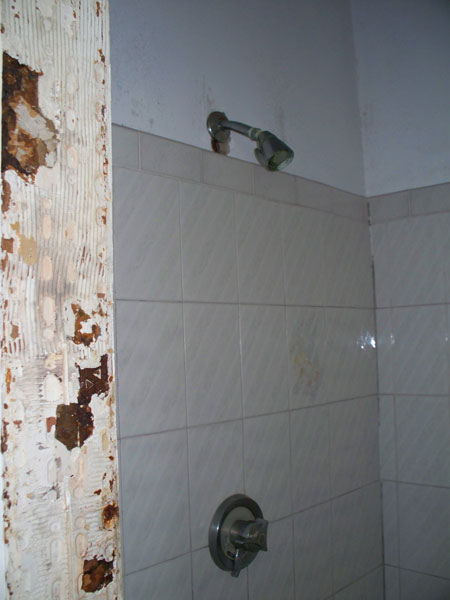 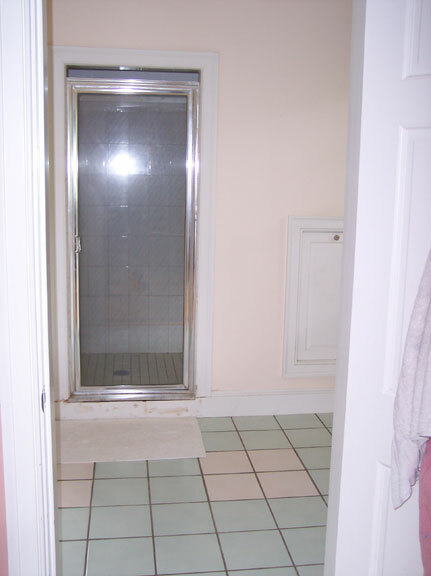 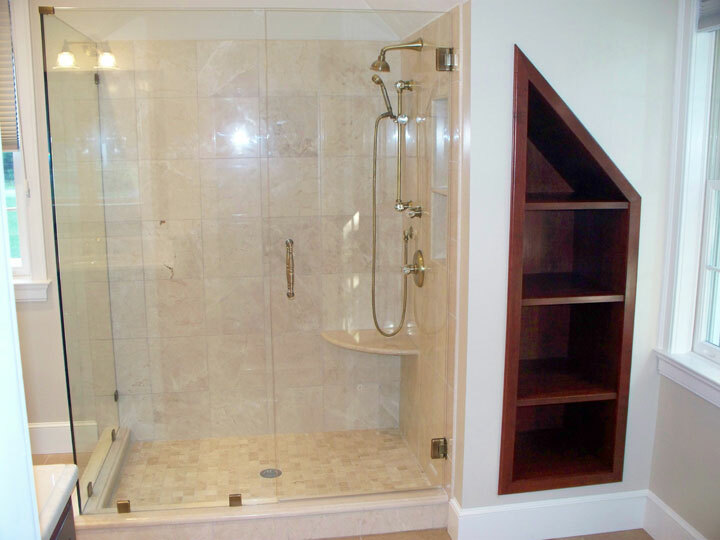 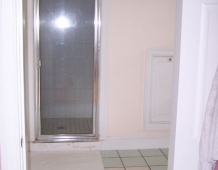 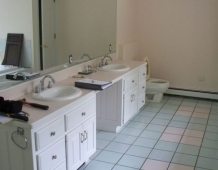 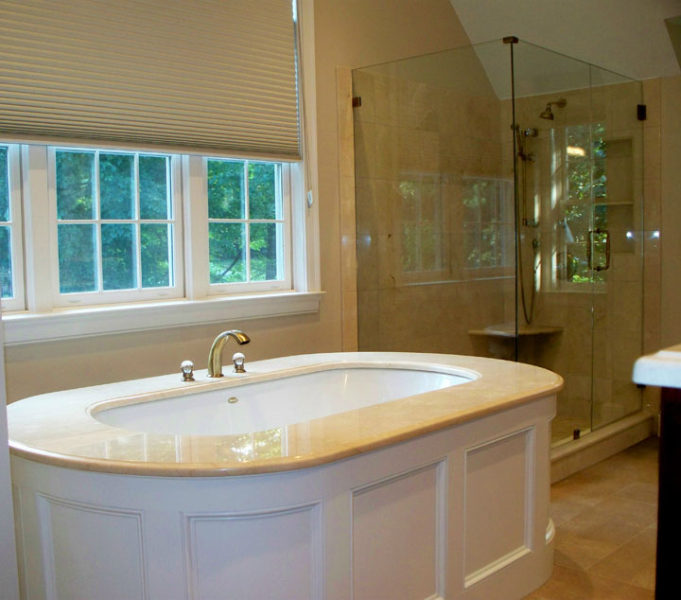 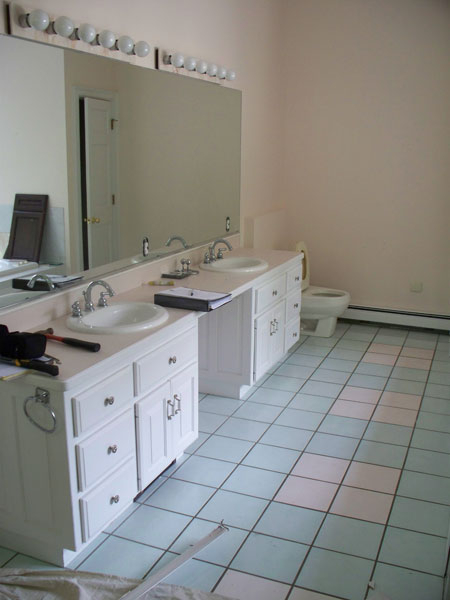 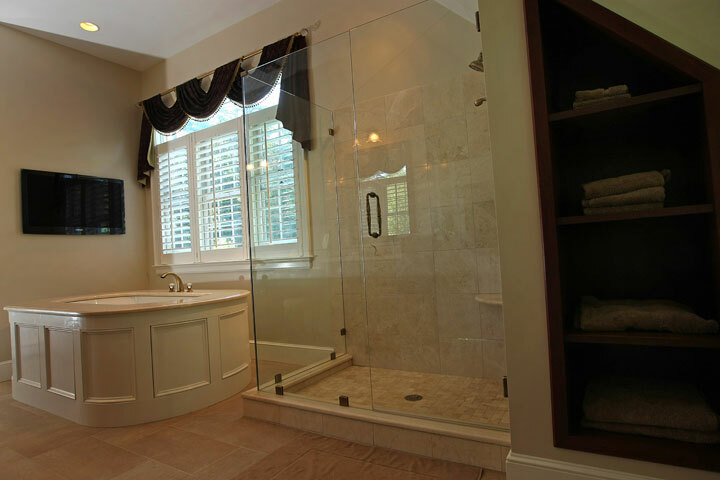 These homeowners approached Renovisions to remodel their master bath. 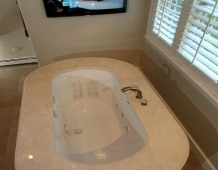 With their kids off at college it was time to do something for themselves. 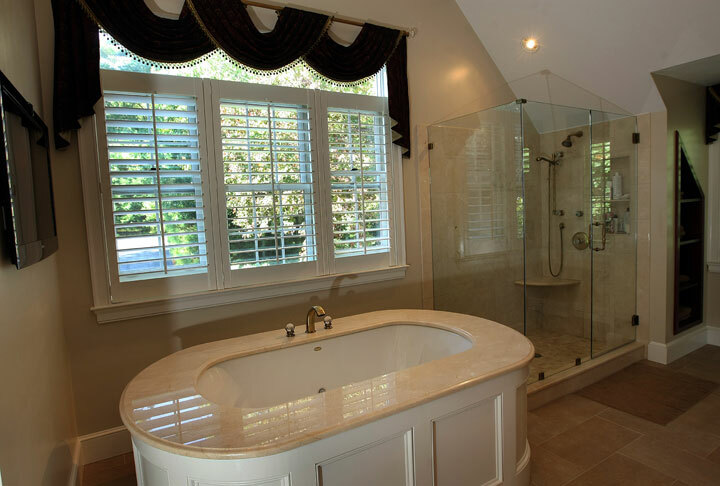 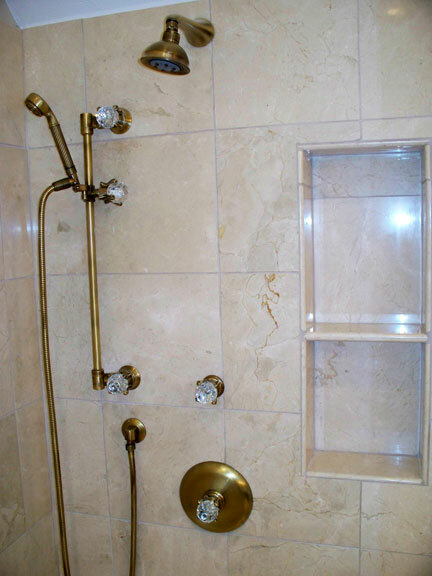 They wanted an elegant upscale look with a spacious shower with glass enclosure, a high-end whirlpool bathtub and custom built in for towels. 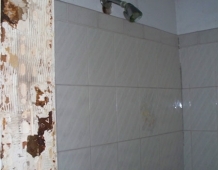 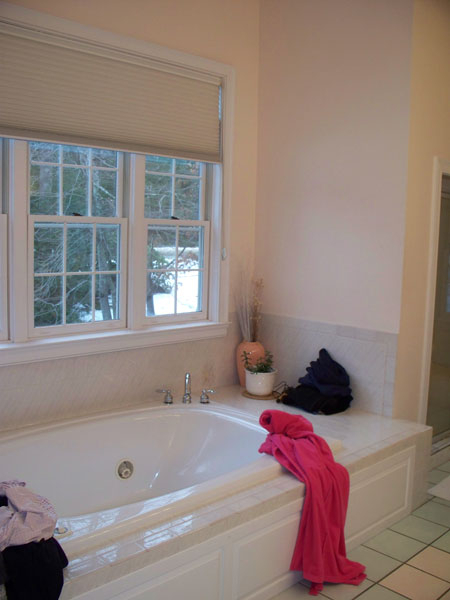 Their existing tub presented a safety issue when they opened & closed the windows which were located directly behind the tub. 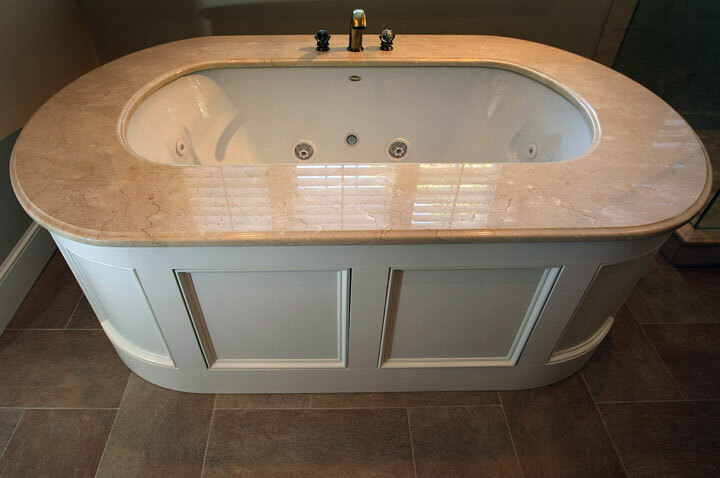 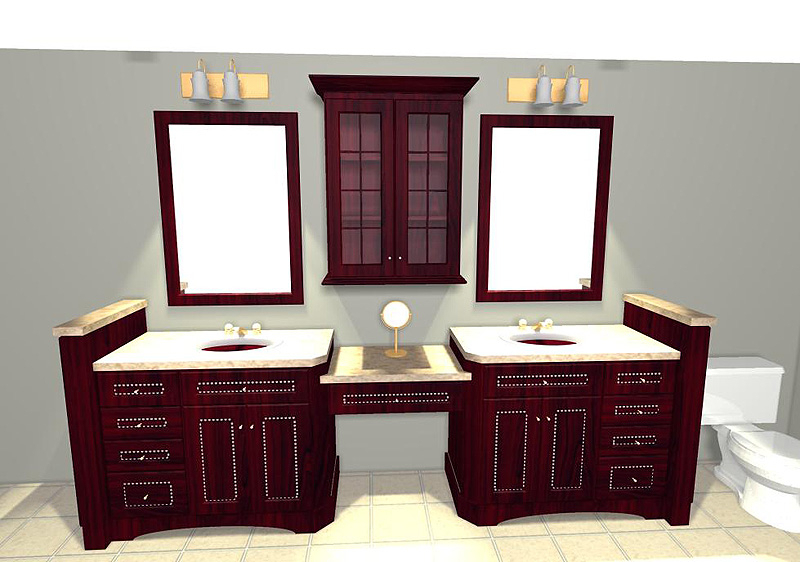 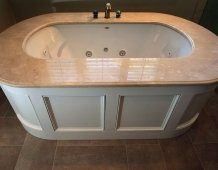 The new design includes a free standing tub/whirlpool with custom rounded and removable wood panels to access electrical and plumbing components. 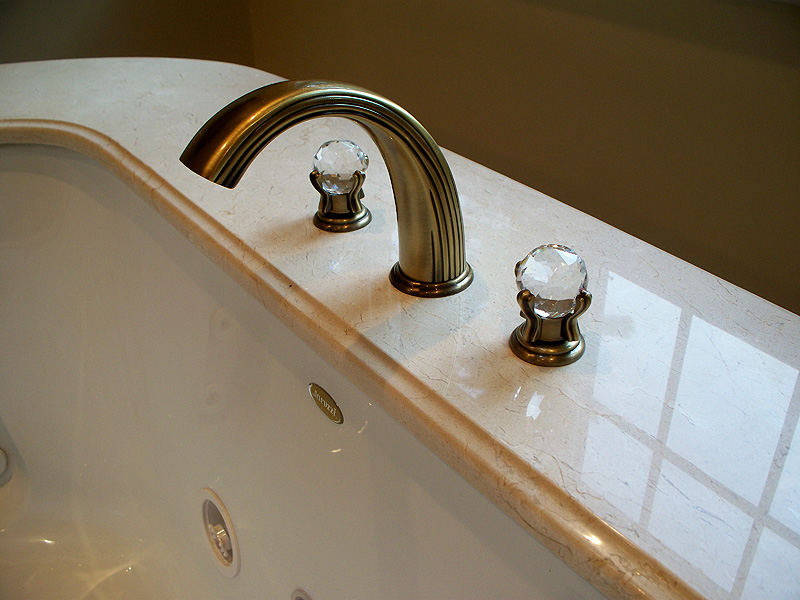 This allows a safe pass way around the tub as well as a more open feel. 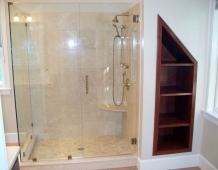 The adjacent shower boasts a generous space with an open style created by the use of 3/8” shower glass enclosure on 2 sides. 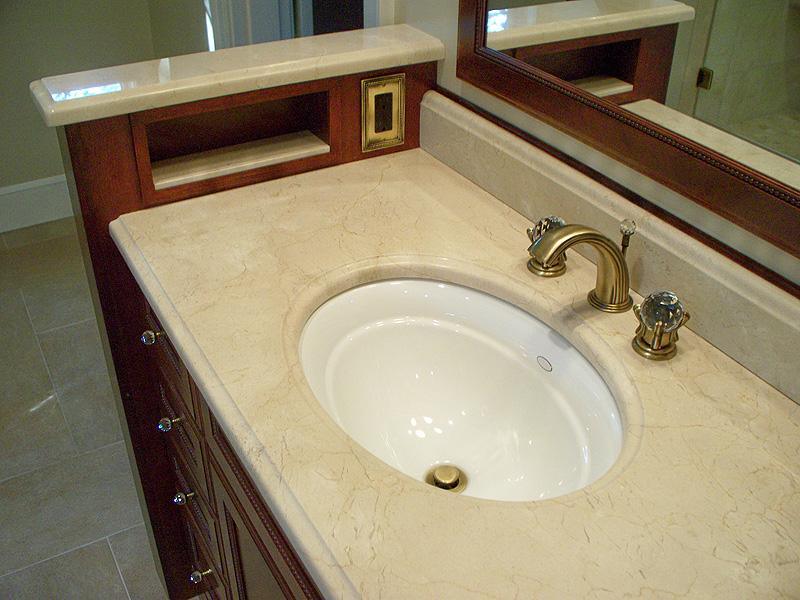 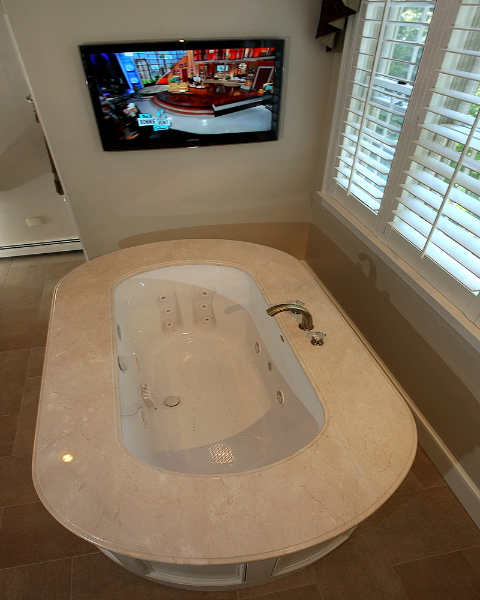 Custom cubbies and corner seat were built into the Crema marfil marble tiles. 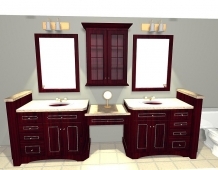 12″x24″ porcelain tiles were installed in a herringbone pattern providing a beautiful and unique appearance setting a neutral stage to showcase the burgundy cherry custom vanities with beaded detail and matching tower with Victorian glass. 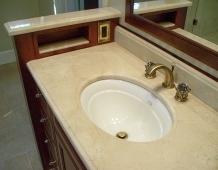 Crema Marfil marble countertops on the vanities and slab on tub featured ogee edges lending a real elegant feel to the room. 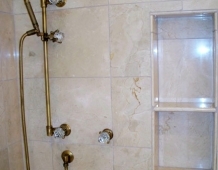 The Piece de Resistance was the exquisite antique brass widespread faucets, hand held shower, shower head, matching antique brass accessories and cabinet hardware all decorated with Swarovski cut crystals.